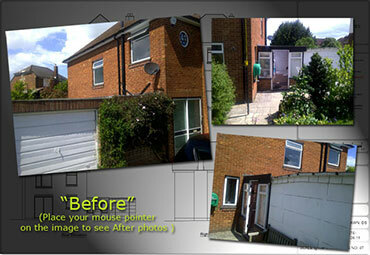 "We approached Les and Lee through a recommendation for our extension project. We found them friendly and thorough and innovative. This was our first project and Les and Lee guided us through the steps we needed to take, the regulations we had to comply with and approximate costing for different materials in a highly professional and friendly manner. In addition Les and Lee fully processed our planning application on our behalf to its successful conclusion. During the build there have been no issues experienced with the plans drawn up and we now have a beautiful extension. We would highly recommend their services to those considering." This section showcases some of our featured projects – please click on the links above to see a few examples of some of the work we undertake.